With an outdoor privacy screen, you can add some much-needed privacy to your pool, hot tub or spa area. Maybe you're seeking a private space for a backyard retreat or a patio, deck or balcony. An outdoor privacy screen gives you personal space away from the view of neighbors or passers-by. Check out this gallery of creative solutions to gain privacy in your backyard or outdoor living space. These photos are meant to suggest and inspire; obviously, you can't run out to your local big-box store and pick up a wall mural or bamboo forest. Some privacy walls and fences are traditional, many are not. Take a look! Need an outdoor privacy screen? Regardless of your property's size, there are some areas of your outdoor living space you're going to want to screen for privacy. Whether it's a pool, hot tub, spa, outdoor kitchen, patio, or just a spot where you can sit and enjoy some solitude, you're going to need to figure out how to create that screen, barrier, fence, etc. Living Screens: Hedges, Vines, Bamboo, Etc. Living Screens -- otherwise known as shrubs, trees, vines or other plants -- have always been an excellent, natural way to gain privacy while forming barriers or walls. They can stand on their own, such as closely planted trees and shrubs, or be trained to climb and cover a plain or unsightly wall or fence. Formal rectilinear-clipped and trimmed hedges are not your only option. In this gallery, you'll see all kinds of living examples, including ideas you might never have considered as a screening plant. That member of the grass family -- bamboo -- is a source of fascination for many people. Dried or living and growing, bamboo literally comes in all sorts of heights, thicknesses, density, growth rates. 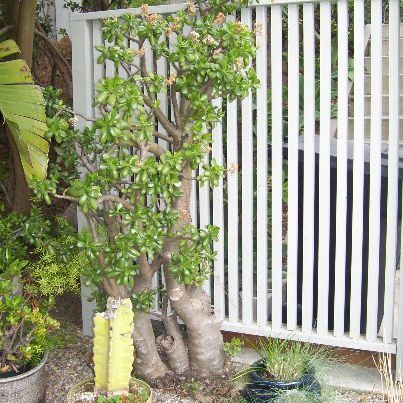 Your fence or wall may be a privacy screen, but it sure is an eyesore. Maybe it's a prison-like concrete-block wall, or a ratty-looking chain link fence. The remedy? Plant a fast-growing, sweet-smelling climbing rose plant. Here's our top-10 picks to turn your plain wall into a think of beauty.